This is a super simple one dish meal that has tons of flavor. 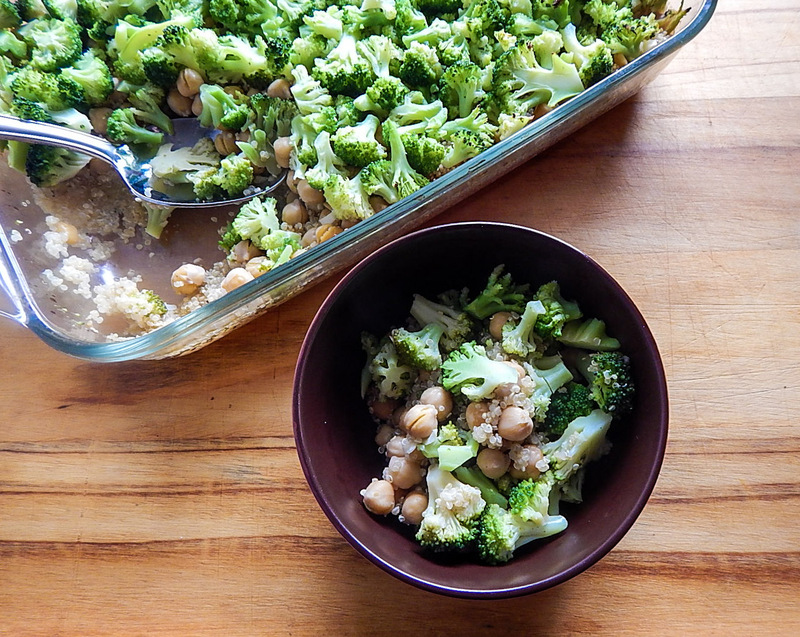 Quinoa, broccoli and chickpeas are baked with lemon and garlic. It makes the perfect weeknight meal.